HONG KONG (CNS) — Five years ago, Maria Yang rejected the idea of becoming pregnant again. She had all sorts of worries: tedious childcare, less freedom, the economic burden of quitting her job. Today her second son is 7 months old. Her change of mind was brought by the new catechumen group in her parish in northeastern China, where Yang and her husband learned to be open to life, reported ucanews.com. “It is the will of God. It is what God’s love is. Since we understood that, we didn’t use contraceptives anymore,” she said. Although the Chinese government ended the country’s one-child policy Jan. 1, the parish priest of this Catholic community told ucanews.com that the birth control policy — old or new — was “never the concern” of lay couples. Since Yang’s baby was born before the introduction of the two-child policy, she still may be fined. “We haven’t got him registered yet,” she said. According to official statistics, China is estimated to have 13 million unregistered people, mostly because of violations of the one-child policy that started in 1979. Parents of unregistered children can be fined and their children are ineligible for public school and other social benefits. “The national policy or a penalty was not our concern,” she said. 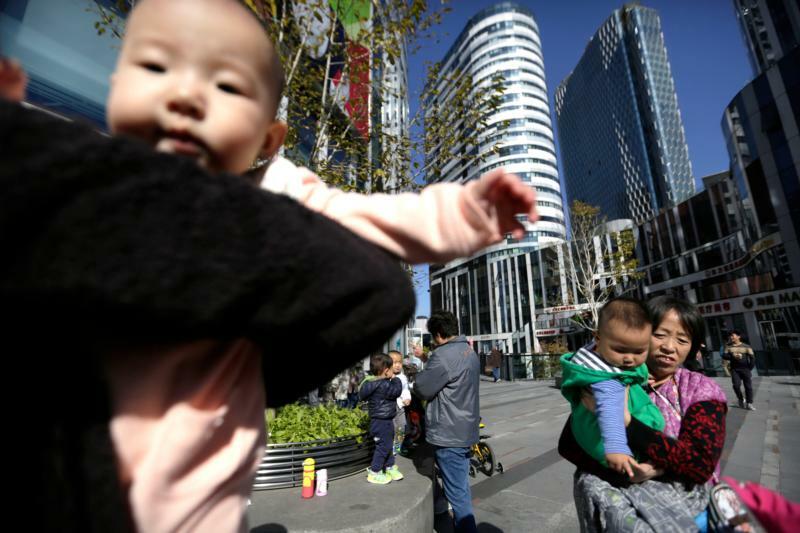 Many believe the new two-child policy is not about human rights but was adopted to address the needs of an aging society and to boost the domestic economy. “The concept of human rights does not exist in China’s value standard. It is not the reason for the government to relax the policy,” a former Catholic journalist who identified herself as Clare told ucanews.com. The consideration of the two-child policy is the same when China introduced the one-child policy, said Ng Wai-kit, professor of economics at the City University of Hong Kong. “It’s an economic measure. The population is too huge and it puts pressures on society,” he explained. Before such economic aims yield results, a new family issue must be confronted: threats of suicide from “little emperors,” a phrase that refers to the once-doted lone children born under the one-child policy. Since China relaxed the birth policy there have been occasional reports of children threatening to kill themselves if their parents have another child, ucanews.com reported. In the church, however, an open attitude to life helped Yang’s eldest son, Liu Jianbo, adjust to life with a sibling. Parishioners with multiple children said that more children create a joyful atmosphere in their families. “My relation with my mother was not particular good in the past. We argued a lot. Now with the birth of my brother, I understand my responsibility in the family,” Liu said.